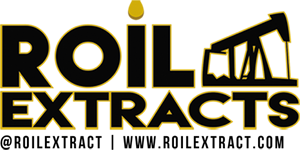 Established in beautiful San Francisco, California in 2014, Roil Extracts began with one aspiration in mind; helping patients in need acquire top quality medication. 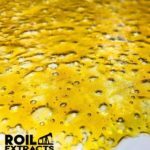 Comprised of four friends with an immense amount of knowledge in the medical marijuana industry, Roil Extracts takes pride in using local farms that supply only the highest quality flower to create our top shelf concentrates. 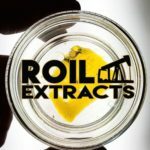 After successfully building a reputation for creating the cleanest, Medical Grade concentrates, Roil Extracts recently opened its second division in Southern California, due to popular demand. Roil Extracts takes quality extracts seriously. That’s why our team uses professional grade equipment and a specific multitude of of steps when it comes to processing our concentrates. We start by inline dewaxing using a closed loop system and a custom blend of distilled solvents. We proceed by purging it into our vacuum oven for 48-72 hours, until we have been left with a clean concentrate full of potency and flavor due to a slow and low temp purging process. Before each batch is processed, our team handpicks through the material to ensure that only the best parts of the plant are being utilized. We work solely with organic growers and geneticists that specialize in using clean and natural methods throughout their growing cycle. The results of this are undeniable in our lab research results. Our concentrates come in at 99.99% solvent free (under 100ppm), with 80-90% THC and cannabinoids. 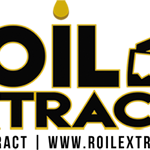 Our goal at Roil Extracts, has always been to provide our patients with clean, top quality concentrates. We look forward to meeting and exceeding those same high standards in the future.